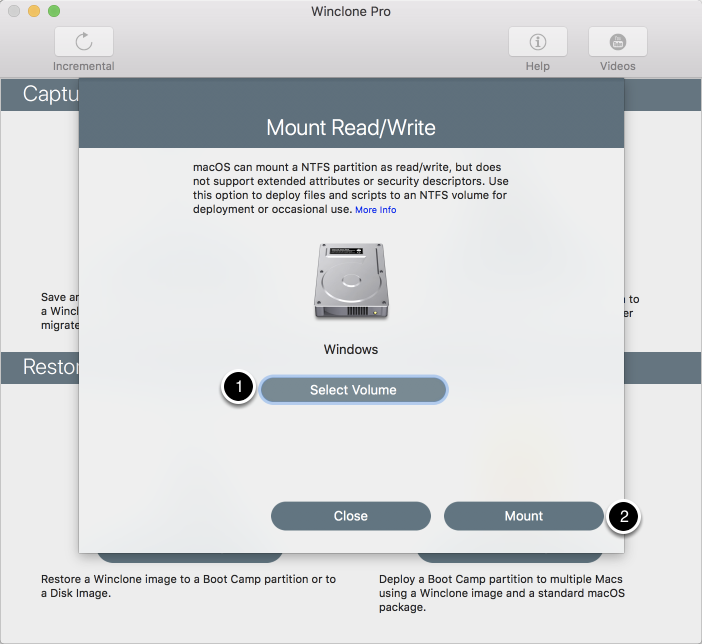 macOS can mount an NTFS partition as read/write, but does not support extended attributes or security descriptors. Use this option to deploy files and scripts to an NTFS volume for deployment or occasional use. When Mount button is pressed, the NTFS partition will be mounted and opened in the Finder. Note: The mounted NTFS volume will no longer show up on the Desktop. To navigate to the mounted volume, navigate to /Volumes.